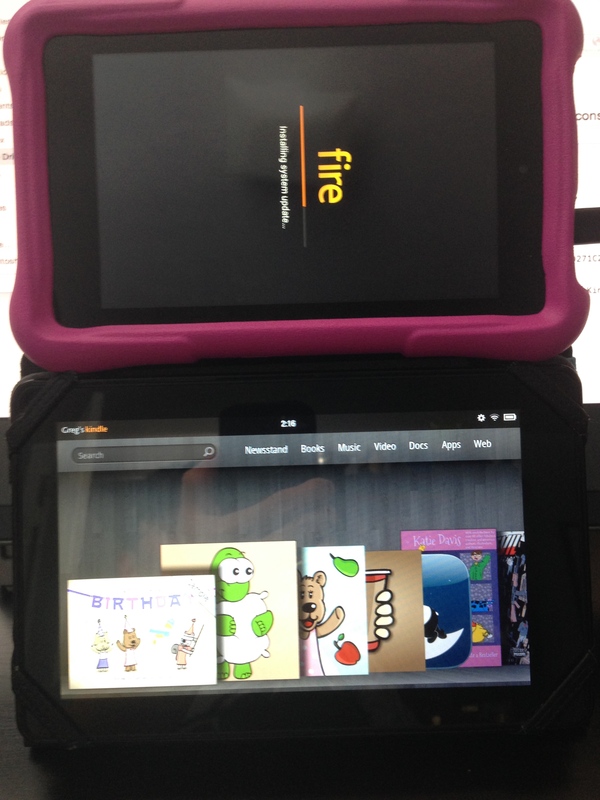 One of my clients, who I’m developing an app version of their children’s book for, sent me a Kindle Fire Kid’s Edition for device testing. I’m going to give a brief overview and review of the device from a consumer, developer, and parent point of view. Opening the Box: Inside the box is the Kindle Fire Kid’s Edition, MicroUSB charging cable, wall plug, and rubber case. I was pleasantly surprised to see a MicroUSB cable in there, as my first-generation Kindle Fire didn’t come with one and I’ve had to use one from a Palm Pre for development. I’m pretty sure this is just Amazon’s Fire HD 6″ tablet with a rubber case, an extra 1 year warranty tacked on, and FreeTime pre-installed at an extra $50-$90, depending on their current sales. 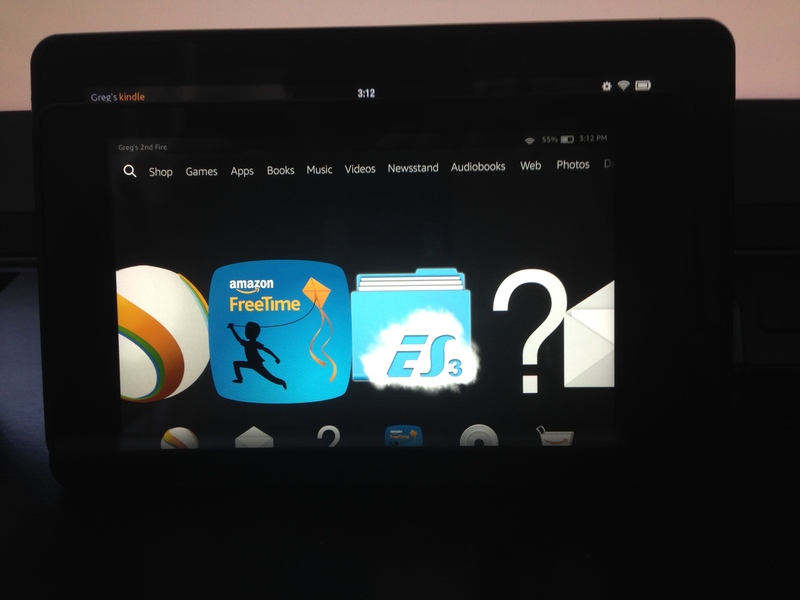 Interface: The interface has improved since the first-generation Kindle Fire, which is nice. The graphics are a lot more crisp and the speed is much faster. Just the speed upgrade alone might be worth it if your only other Kindle Fire device is a first-generation like mine. Size Comparison: In relation to the first-generation Kindle, the kid’s version is lighter, but also has a smaller screen size. Once you insert it into the rubber case that helps protect it from kids dropping it, it actually ends up a little wider than the first Kindle. Software: The main difference between the Kid’s Edition and regular Kindle Fires is FreeTime. This provides your child unlimited access to pre-approved books, games, and TV shows on the device. However, it does feel like the added FreeTime, parental controls, and profiles bog it down a bit. The device often freezes or has issues, which requires a reboot. Developer Review: In comparison to the first generation Kindle Fire, you need special software to transfer .apk files to this device. Whereas my old Kindle Fire would instantly appear on my MacBook for me to drag and drop files, the Kid’s Edition requires Android software. However, with the Kid’s Edition, you can just close the software and unhook the device from your computer, you no longer have to eject the media. I’m not sure how you get your apps on Amazon’s Pre-Approved FreeTime listings, they may have to contact you if they deem it worthy. I was unable to find any of my children’s books and apps while logged into my daughter’s FreeTime account. Like every device after the first-generation, this one doesn’t have the 20 pixel tall menu bar hardcoded onto the screen, so that’s something to consider when developing apps for it. Consumer Review: At the time, the Kid’s Edition was $150 USD, but now I see it’s gone up to about $190, which seems pretty steep. As I said, it’s really just a $100 Fire HD with a rubber case, FreeTime, and an extra 1 year added to the warranty. You can get FreeTime on your Fire TV, a rubber case for $3 on eBay, and just try not to break a $100 Fire HD after a year, and essentially save yourself quite a bit of money. Also, the bloatware of having FreeTime slows down the device and causes freezing. It’s much nicer than the first-generation Kindle Fire, but at this day and age, those random $40 Android tablets found in bargain bins are faster than the first Kindle Fires. 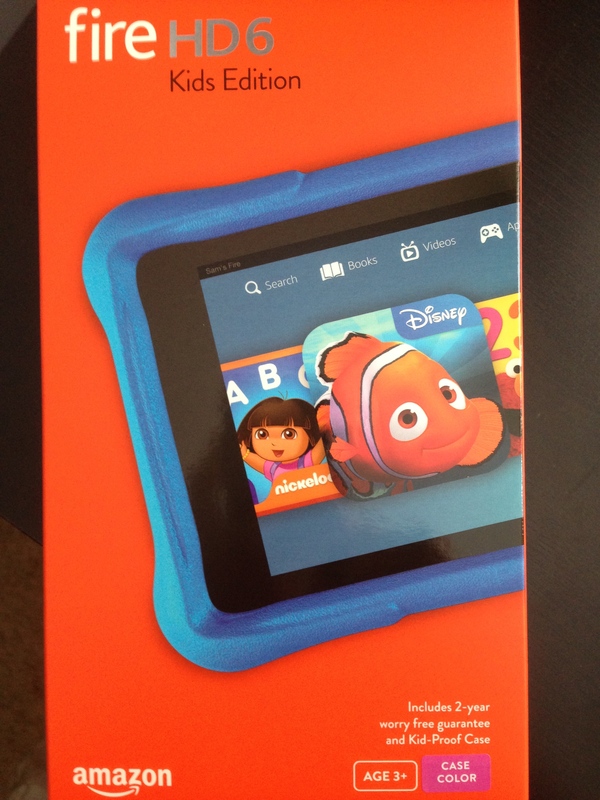 Parent Review: My daughter loves the Kid’s Edition Kindle. At only 2 years old, she immediately knew how to navigate the interface, download books and games, watch TV shows, and switch between apps without me showing how to do it. The rubber case makes it easy for her to hold and protects it against drops. The limited access makes it easy for me to hand to her and not have to worry about her downloading or buying something she shouldn’t be. However, while using the device in the car, I tried to switch from my account to my daughter’s and it wouldn’t let me without a wi-fi connection to verify my password. This is a terrible feature that Amazon needs to address. Overall: At $150 or less, the Kid’s Edition is a great deal for parents. At $190, you’re probably better off with something else or just buying a cheaper tablet and getting a rubber case for it. The software can bog down and the fact that I couldn’t switch accounts without wi-fi is pretty bad. That being said, it’s still a nice device for younger kids and knowing it can be replaced for 2 years if it breaks is nice.